UPDATE: Cult of Mac has learned that the Apple 1 did sell after the auction closed. Read more here. Markets rise and markets fall – that’s true for stocks, real estate, tulips, etc. That’s also true with vintage computers – though even in a down market there’s still some money to be made. At an auction in Germany held on Saturday November 16, a working Apple 1 – from the first batch of 50 units made – did not receive any bids. Nor did a restored Lisa 1, with dual Twiggy floppy disk drives. But a prototype Twiggy Mac, one of only two known working units, sold for €25,000 ($33,725), quite possibly the highest price ever paid for a vintage Macintosh. 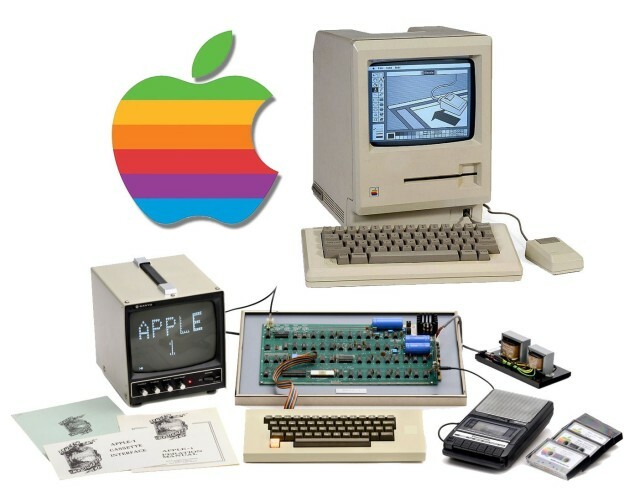 Apple 1 systems have previously sold for as much as $671,000, so expectations were high for this one. Listed for €180,000 ($242,820), it came from the original batch of 50 systems that Jobs and Woz sold to the Byte Shop in 1976. The unit is numbered 46 and includes the original operation manuals, software cassettes, shipping box and a signature from Woz. Somewhat surprisingly, the computer failed to attract even a single bid. Twiggy Macs were prototype versions of the original Macintosh which used a proprietary 5.25-inch floppy disk drive, instead of the 3.5-inch disk which ultimately shipped with the system. Sold by vintage Apple collector Adam Goolevitch, the auction concludes a two year odyssey for this computer including an amazing resurrection story and a reunion of the original Mac team members. A Lisa 1 up for auction failed to garner any bids either. The Lisa 1 was the earliest model with dual Twiggy disk drives, most units were upgraded to Lisa 2 systems with 3.5-inch disk drives. Working Lisa 1’s are quite rare, so again a bit of a surprise that this system didn’t sell. But a MITS Altair computer from 1974 and a NeXT cube from 1988 didn’t receive any online bids either. Old computers lose value rapidly – almost exponentially at first, then a slow decline to the “please take it off my hands” stage. But if you hold on to some things long enough, the price rises again. This November proved not to be the most valuable month for vintage Apple gear, but the cycle continues apace. Goolevitch was sanguine about the results. Don’t throw out those items in your attic yet.